Behold Your Little Ones is an inspired lesson book geared for 18 months to 3 years old to learn the very basics of the restored gospel. 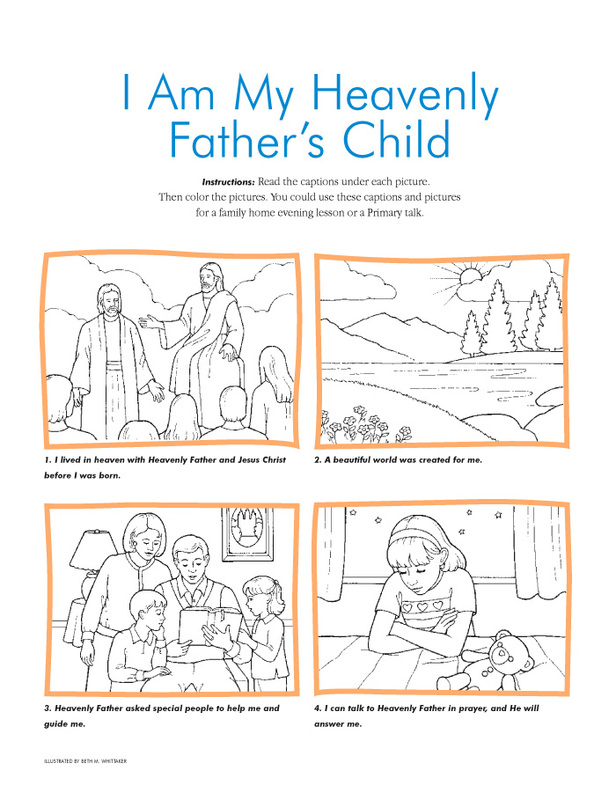 Our children are taught from this lesson book during their church nursery class as well as in our home. 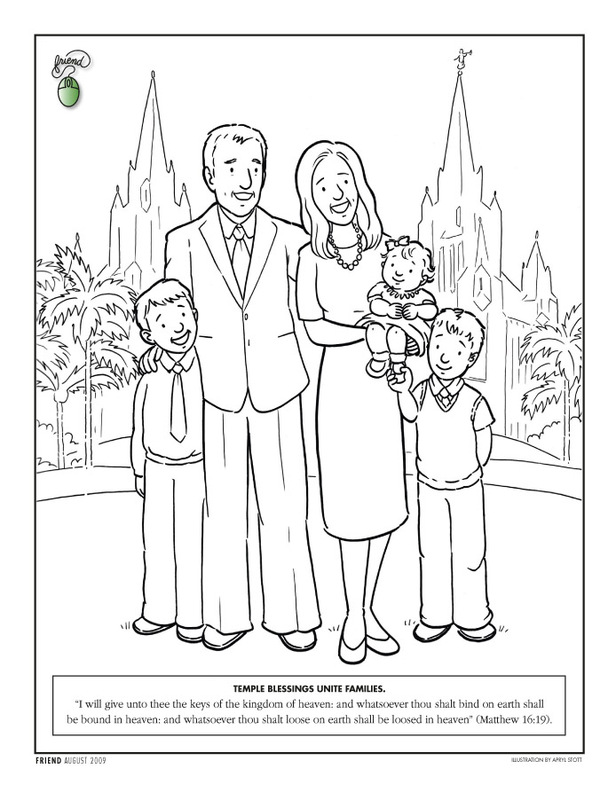 I have begun to make file folder activities to accompany each lesson along with coloring and activities I come across in The Children's Friend and other Lesson Manuals from The Church of Jesus Christ of Latter-day Saints. Little Woman loves to open our folder box and pull out these activity folders, I also keep a good stock of coloring pages as both her and Little Man go through them pretty quickly. 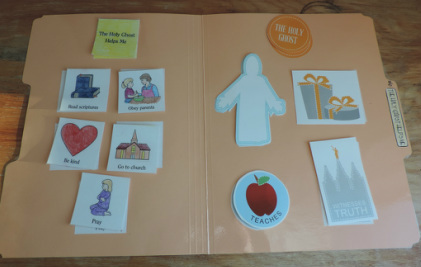 These are also perfect for the little ones to have a turn teaching the family home evening lesson, for morning scripture study and would be great for nursery leaders to use. I looked all over the office supply stores and big box stores to price check folders and the most cost effective route was this 100 pack from Amazon. I use these for other file folder activities and all the lapbooks we use for school so this was a great deal for me. I laminated each of these, unless otherwise specified, and then used the clear velcro sticky back coins to adhere the pieces. I then keep them stored in a file box (above) with the other activities and coloring pages. 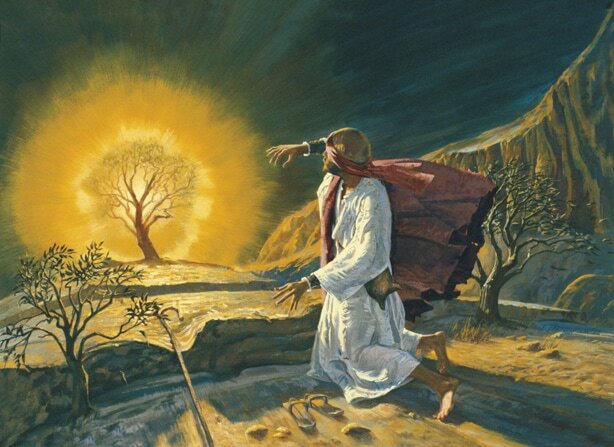 Images for Moses story: Burning Bush, Drawing. 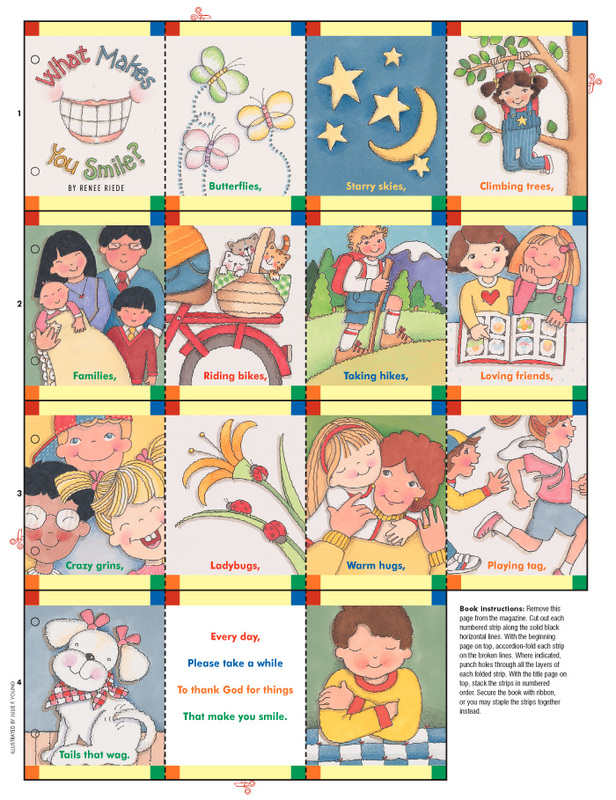 Leann's Spirit story - after reading make a poster for your child and don't forget the "spirit". The picture with this story is real cute so you can download this entire issue of the Friend and then scroll to the page with the picture and print if you like. The link for the issue is here, click on the download button and then on the Adobe icon. 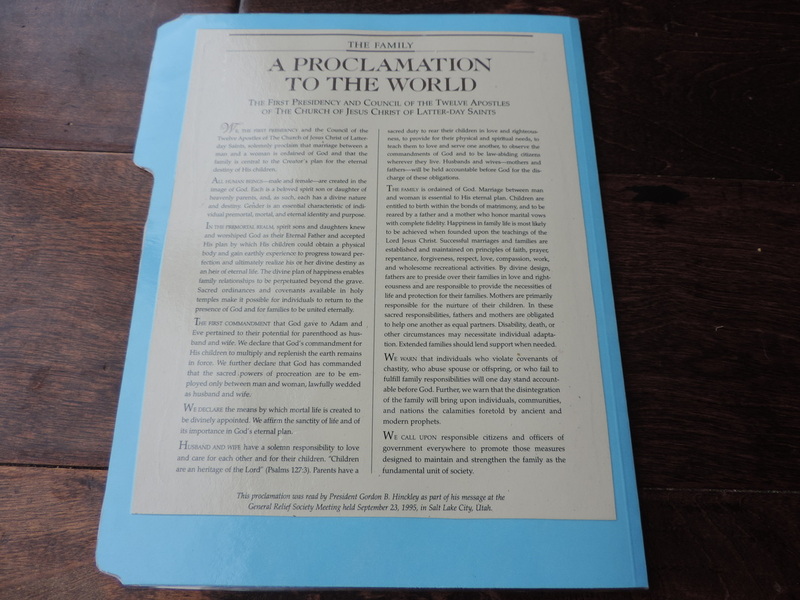 I like to read the second paragraph from the family proclamation when doing this lesson and activity folder. "All human beings - male and female - are created in the image of God. 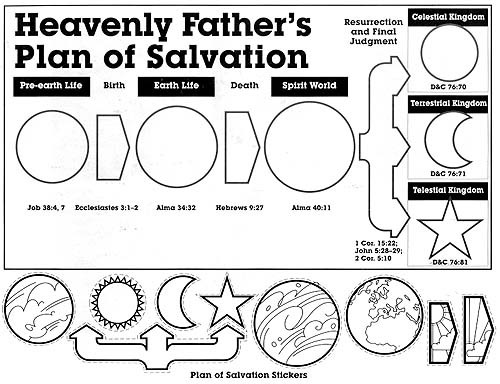 Each is a beloved spirit son or daughter of heavenly parents, and, as such, each has a divine nature and destiny. Gender is an essential characteristic of individual premortal, mortal, and eternal identity and purpose." Using two brown paper bags and write "We Thank Thee" on one and "Please Bless Us" on the other. Color and cut out the pictures from the links below to go in each bag or if you have a color copy printer you can just copy the pictures you have already colored and save some time. Use the Enos cutouts in the file folder activity to tell the story from Enos 1. Let the child(ren) hold or put the figures in place as you tell the story. I tape the flip book onto the outside of the folder to keep everything together in one place and also allow the child(ren) to play with the flip book on their own. 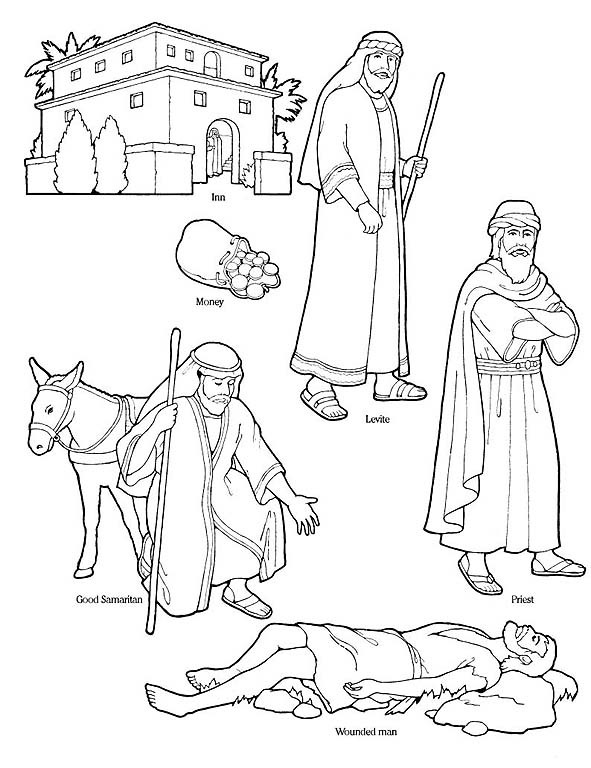 Use the figures here, to tell the story of Jesus blessing the Nephite children or use the story here, from the Friend. 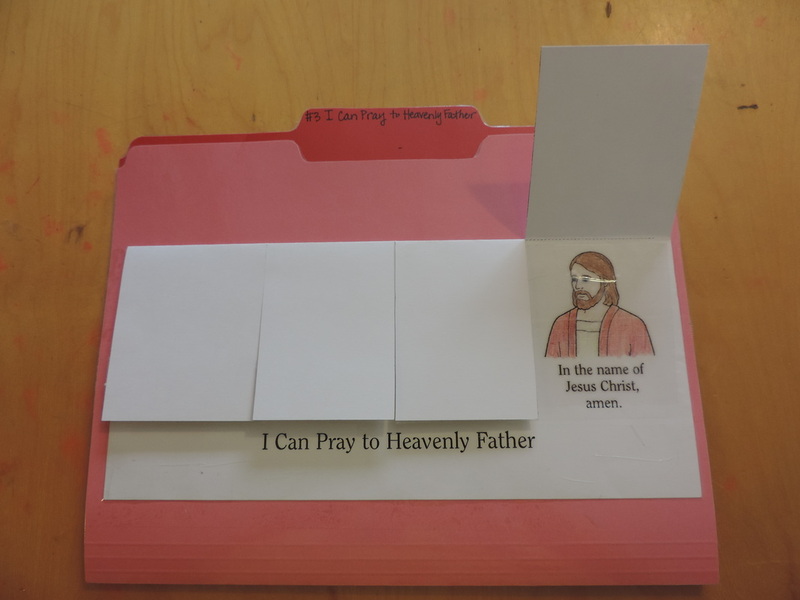 Using the pictures from the file folder activity, have the child pick a heart and name the blessing it represents, place the heart over the match. Color and cut out the images or images of your own and adhere to each heart. Remember to make two. Images needed for stories: Story 1, Story 2, Story 3. As I have loved you puzzle: Base, Pieces. 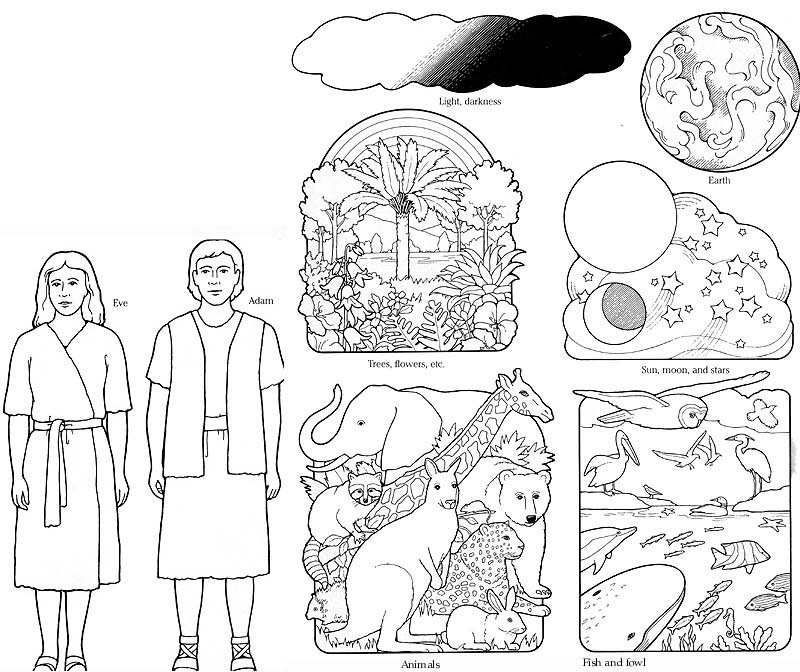 Image of Christ for the left side of the folder and puzzle activity. Cut a piece of card stock to fit the picture and then make 5 puzzle pieces out of it. Write a way the child could show love to others on the front of each piece. Mine say "I will love others by..." serving, obeying Mom and Dad, saying kind words, sharing, disagreeing appropriately (from Teaching Self Government). 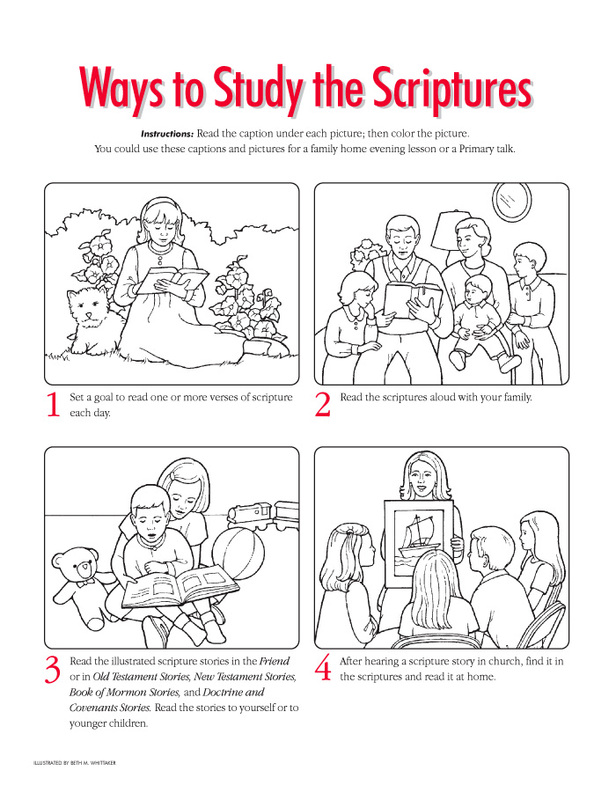 Duties of the Holy Ghost, I originally got the images for the 2nd page of this activity from The Red Headed Hostess Godhead visual packet, it looks as if they have since changed the look of their Godhead packet into a pocket activity. You can either use the updated images or actually make the pocket activity. 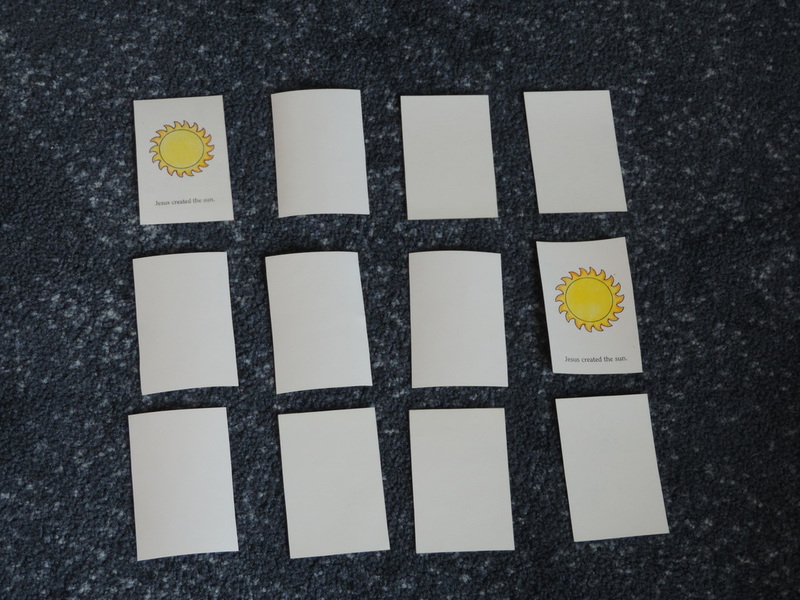 Match Game and/or Booklet, make two copies, both on card stock. The Creation, image for the match game to go over. I made a plastic pocket from a page protector and taped over the image after it was laminated. Images for 7 days of Creation, make two copies of each image, one on card stock or use this image. ​How Should I Use My Body Parts - I got these images from the 2012 Sharing Time outline book from July, the image link it currently not working so I'm including the outline booklet link for your own exploration. 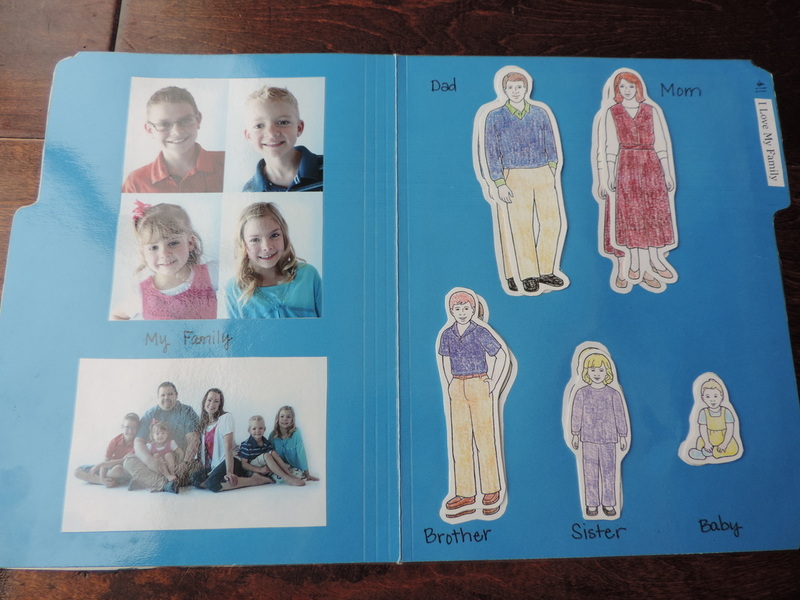 I Love My Family figures - these can be used for the role play activity and a folder match game. Write "We are thankful for..." on four different paper bags. Cut and color the I Am Thankful for my Family pictures and place one in each bag for the bag activity. 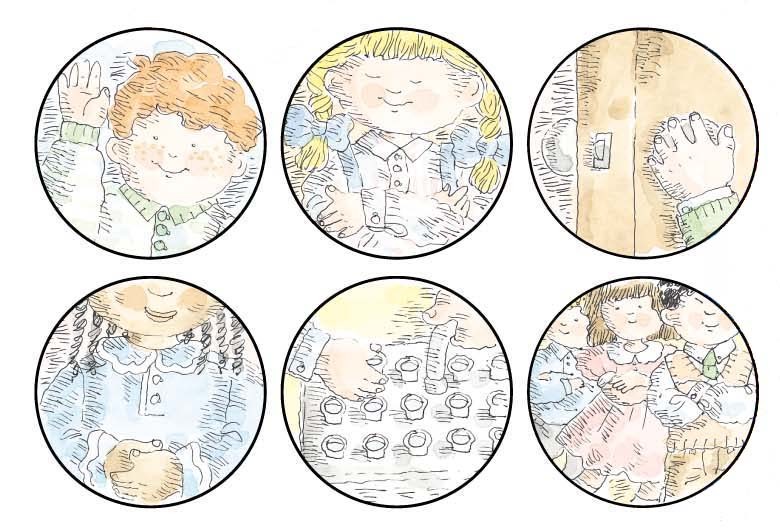 Use the family finger puppets from the file folder activity for the finger puppet play. The lesson has you show a picture of a temple in your area, so I put the picture right into the activity folder so they can point to the different parts of the temple. I chose the Salt Lake City Temple because that is the temple my children are most familiar with or you can view all Temple Images to choose your own. I Can Prepare to Go to the Temple, circle images for the match game. Family Finger Puppets and Temple Circle, I use these puppets for the activity verse and made a pocket for them in the folder. Instead of making necklaces with the temple circle I put them on a stick to use during the song and to play with. Building a Temple, print on cardstock. ​Testimony Basics pictures - even more important than sharing our things is sharing our testimonies so I like to talk a little about that with these pictures and message from President Uchtdorf. Joseph Smith finger puppets - make a small pocket from cardstock to store the puppets. I laminate first and then cut along the top with an exacto knife to open the pocket once laminated. 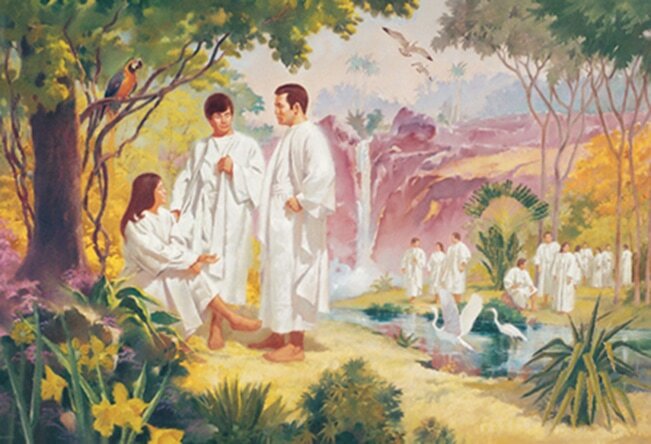 Joseph Smith translates the Book of Mormon - I like to use these figures to expand on the story of Joseph Smith including the visitations from Moroni, uncovering the Gold plates and translating them into the Book of Mormon. 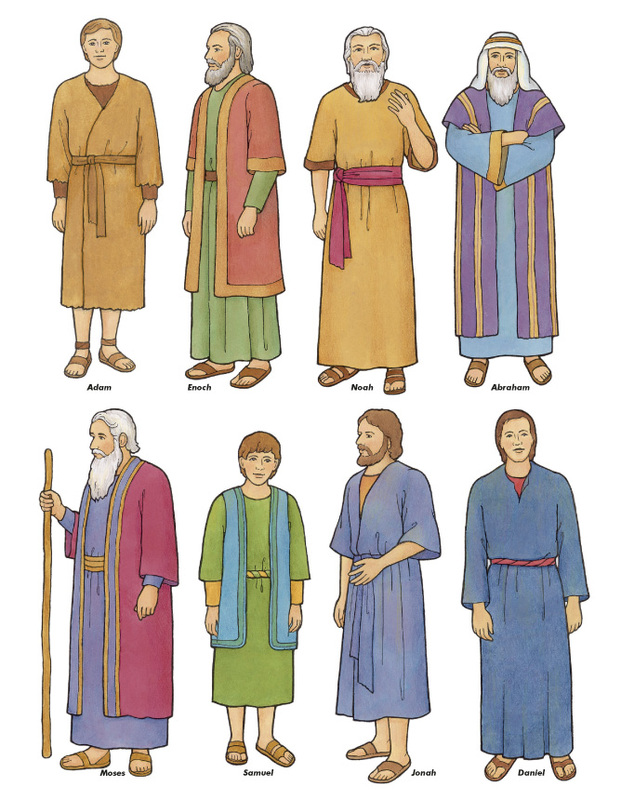 Scripture story figures - I made a pocket with some card stock before laminating. Once laminated use an exacto knife to slice the top of the pocket open and store the figures here. Use them to tell the story that goes with each prophet and then let them try to tell it back. 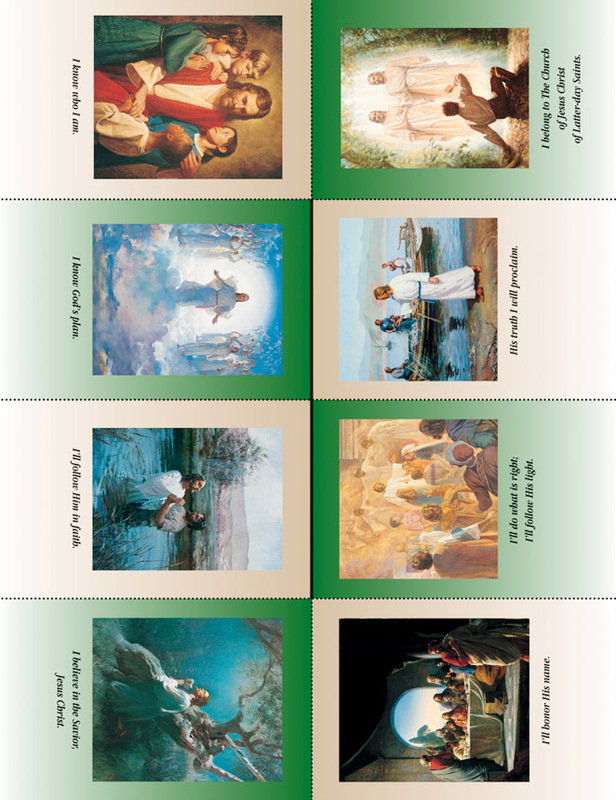 Follow the Prophet song game - follow the game instructions on the page. For the young nursery kids, this would work better as a fun leader led game. It is great for a little bit older children to play as a group on their own. 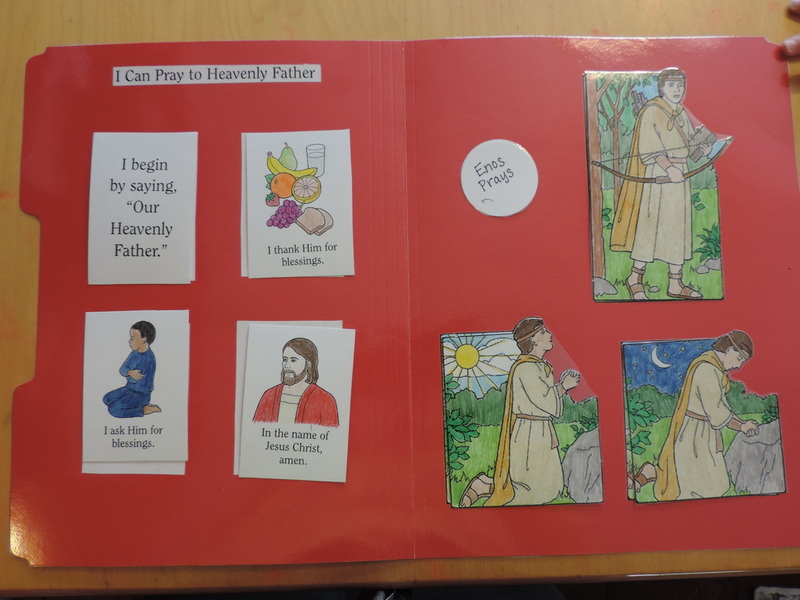 Priesthood ordinance pictures - I used a template to cut these out in a different shape to give variety to little hands. I lost the file I had made of the activity verse, but you could just copy and paste to a word file and print out to go with the pictures. 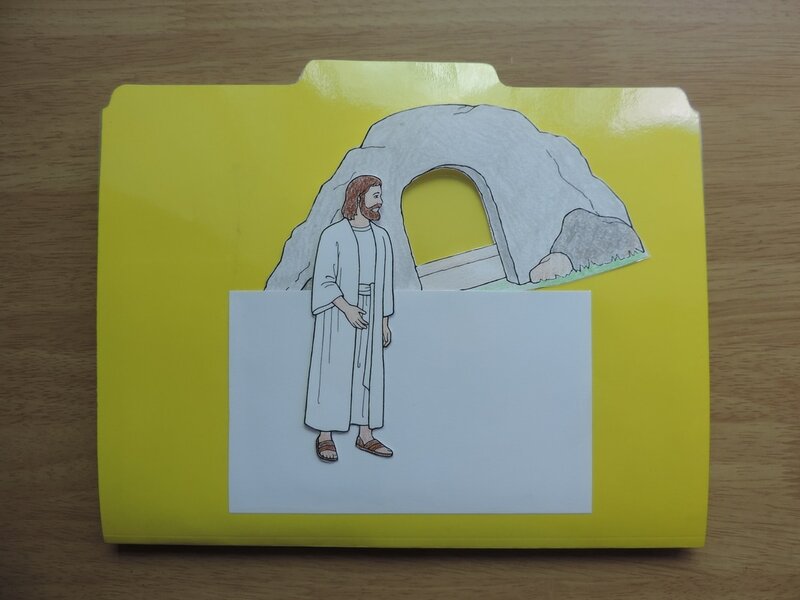 Jesus Christ Was Resurrected lesson activity - I made a pocket on the back of the folder to store the activity in. 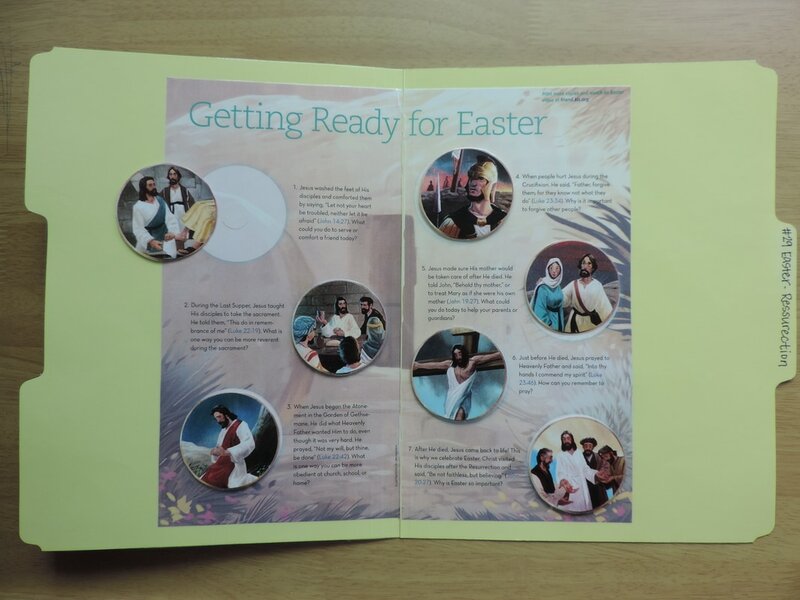 ​Getting Ready for Easter activity - print on cardstock, then start from the center of the folder to glue each page on then just cut out the circles. 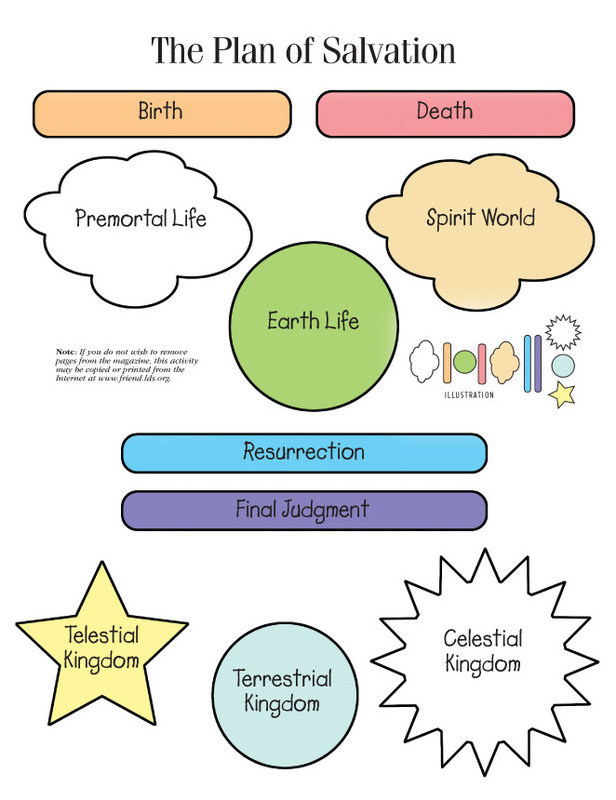 We love to use this to tell the story of Christ's last week as well as using it the week of Easter and reading each day as a countdown to Easter.